It is important to properly estimate the value of the business as it reflects the total summation of your investments. This holds true for consolidated businesses, with decades of financial reporting, audited income statements and bullet-proofed business model. However, the case of BMW’s acquisition of Rover remains poignant. In 1994, the German manufacturer estimated the right price of the takeover to the tune of £800m. A few years later the company was sold to Phoenix Consortium for a meagre £10m. We are talking about a loss of 99% on investment in just six years. BMW made an erroneous decision to value Rover based on inaccurate facts. When it comes to start-ups, the difficulties increase exponentially as it is highly probable that there are no revenues to assess, no patent which gives it a competitive advantage, nor any established route to market. Even the objectives are different as against what you get with corporate valuation. While in this last case, the intent is to determine the additional value it could bring to the acquirer business; startup valuation is mainly aimed to assess what the likely exit value will be for a company. 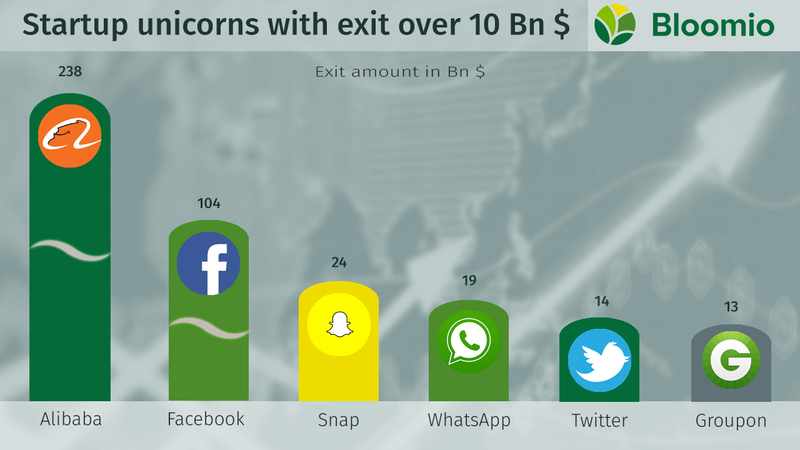 And here we have more questions (how long will it take to exit, how many investment rounds, will it be through public listing or acquisition…). And here, uncertainty increases. What are the practical ways to carry out startup valuation? Going into the details of each method is outside the scope of this post, but we suggest several readings which could be used as a compendium. The methods to value a startup differ by several factors; amongst these are: maturity level, geography, industry, founders’ experience, business complexity. Yes, complications are there. But so are opportunities. The above picture is just a small reminder of the opportunities behind startup investment. Each of the companies featured here offered to their early investors the same information as above: little or no cash flow, market size or value was not proven, no existing customer base. There was a hook! The investors who injected capital into these businesses saw something beyond the idea and the cash flow (current or forecasted). They perceived the traction, understood the impact it would have had on people behaviour and saw the glance in the eyes of the founders to understand that yes, they would have delivered on their promises. It is well known the case of Mark Zuckerberg’s first pitch, only focusing value proposition, key metrics, and users’ engagement. That was good enough to receive a 500’000 $ check from Peter Thiel. That’s what valuing a startup is: clearly assess all the tangible information and being able to look beyond. That’s why, in startup valuation, it is not only crucial the method to assess the value but also who does it. This is the reason why in Bloomio we decided to engage a 3rd party panel of experts to complete due diligence for listed startups and to estimate their value.